I want to encourage you to engage with the next round of Gospel Basics, beginning on Sunday, February 25th, immediately following the Gathering. This 10-week course is absolutely foundational to all that we are as a church, and we highly encourage you to engage with it. We’ll provide pizza and have childcare available (by donation), so grab a few folks from your community and jump into it. While the first session starts after Gathering on Feb 25th, the rest of the classes run before the Gathering, 8:30-10:00. Coffee and refreshments provided and childcare available by donation. 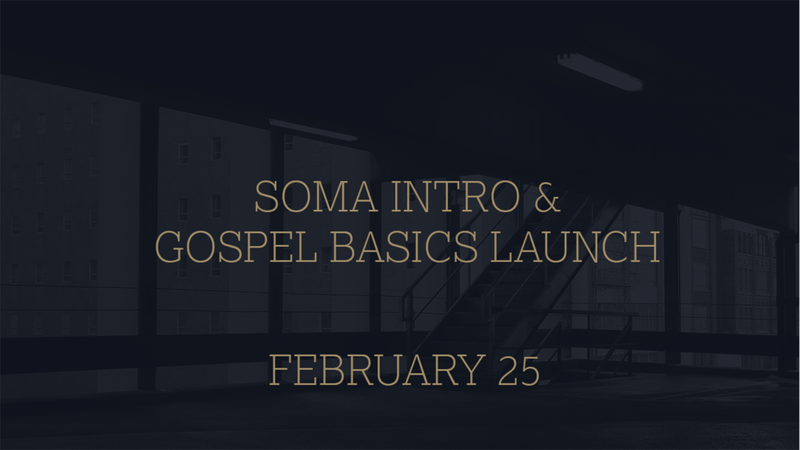 SIGN UP BELOW FOR SOMA INTRO AND WEEK 1 OF GOSPEL BASICS! You are all signed up for Gospel Basics!